The fact that Wild! Wild Wild! lives up to its title is clearly no accident at all. 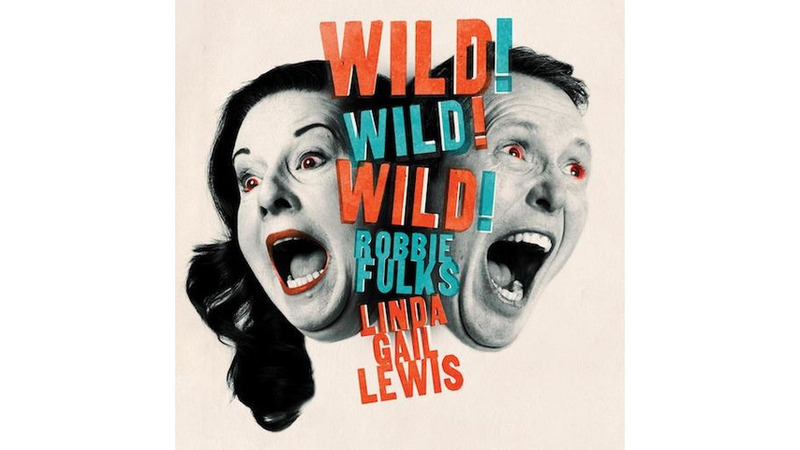 Fulks and Lewis, two performers who are best described as both brash and unbridled, show no restraint when it comes to a set songs hewed from vintage trappings. Lewis is well seasoned in that regard; the younger sister of the madman himself, Jerry Lee Lewis, she’s known for singing up a storm. The sentiments she conveys bring similarities to those expressed by Loretta Lynn or Tammy Wynette, and here, in cahoots with Robbie Fulks, the combination brings to mind their pairings with Conway Twitty and George Jones respectively. Fulks fits those male models to a tee, and he’s enough of an upstart and an able enough country crooner to provide a solid counterpoint. The fact that he wrote most of the material further affirms his confidence and cool. Even so, Lewis grabs most of the attention here, and it’s little wonder why. Given a 50 year career that’s taken her from performing with her celebrated sibling to a recent match-up with another blustery belter, Van Morrison, she has both the edge and the attitude needed to make a formidable impression. That’s evident from the swagger of the horn-infused blues of “Memphis Never Falls From Style” and the piano romp of “Boogie Woogie Country Gal” which finds her firmly affirming her birthright. Here, as elsewhere, her defiant delivery ensures that the album delivers all the title promises. And if she sometimes sounds unhinged, it’s only because she’s absolutely clear in her conviction and brassy enough to prove it. When she and Fulks join voices harmonize on the lament “That’s Why They Call It Temptation,” and belt out the raucous title tune, the results are incendiary. Wild! Wild Wild! is a throwback to a time before Americana became such a catch-all cliche and heartland heroes and heroines dominated the country charts. Such an astute combination of sass and spirit isn’t all that evident these days, especially given the dismal mindset preoccupying us of late. Consider this set of songs a wonderful way to let go.